There is no need of being a mac user for bringing your iTunes files to android from iOS or to windows from mac OS. There are just few steps that can bring or can make iTunes your default music player or you have access to use apple music player as the default music player. It is the question in the minds of users that if we are going to change the device we will not be able to bring our music files onto our new device, here is the guide with my new article on how you can make your iTunes as default player in the android device as well as new windows computer. iTunes is based on the basic working of how you can store your songs, create playlist of then and can perform some basic editing to it. And if my fiend you are used to using iTunes for all this purpose or for even listening the songs you can have the same in your new device, you can easily copy the playlist or can use the whole of the iTunes into windows and android as well. Let’s give I a look that how all this can be done. STEP 1: Right click the Windows Start button and select Settings. 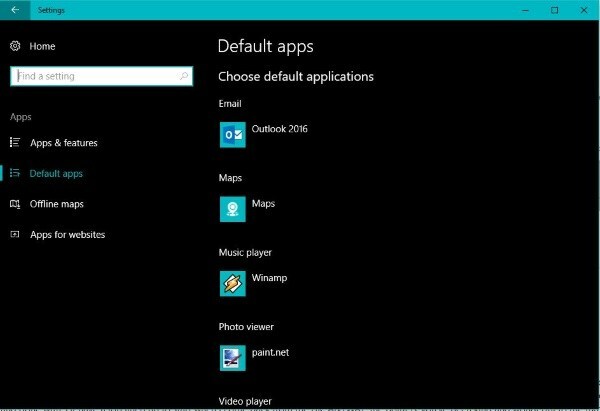 STEP 2: Select Apps and Default apps on the left. STEP 3: Select either Add or the default app under Music player in the right pane. STEP 4: Select iTunes from the popup list. These steps will formulate the default settings for the case of listening music, and that too its iTunes so your song collection will be here for sure. STEP 1: Download and install the latest version of iTunes to your computer. STEP 2: Select the Windows Start orb and Default Programs. STEP 3: Select the ‘Set your default programs’ text link. STEP 4: Select iTunes from the list on the left and ‘Choose defaults for this program’ on the right. STEP 5: Select all formats or just music and select Save. This will set all your music components to the default of iTunes as you will open any track it will directly get played on iTunes. For the mac its an obvious thing that iTunes will be the default music player but in some cases the mac comes into the hands who are willing to experiment various thing and end up at loss for the default music player. No worries, you can fix it by these easy steps. STEP 1: Select a music track saved on your Mac. STEP 2: Control or right click on it and select Get Info. STEP 3: Select ‘Name & Extension’ and ‘Open With’. STEP 4: Select iTunes and then ‘Change all’. And if you like to change it again you have to the same for the all music files separately again. This will help you in changing the default setting for all file type. As iTunes is not available for android and can not be done in any case. But still there are some ways of bringing your collection to the android via iCloud and Apple music. Its not the proper iTunes to be used in your android device all you can have to follow the steps and bring the usage of iCloud for the access to your music collection. STEP 1: Open iTunes on your Mac or PC and sign in. STEP 2: Select iTunes and Preferences from the top menu. Edit and Preferences in Windows. STEP 3: Check the box next to iCloud Music Library from the popup window. STEP 5: Select File and Library from the top menu of the main iTunes screen. STEP 6: Select Update iCloud Music Library. This processing may take a while to complete the update of iCloud music library but once done will be in complete access of collection you had. 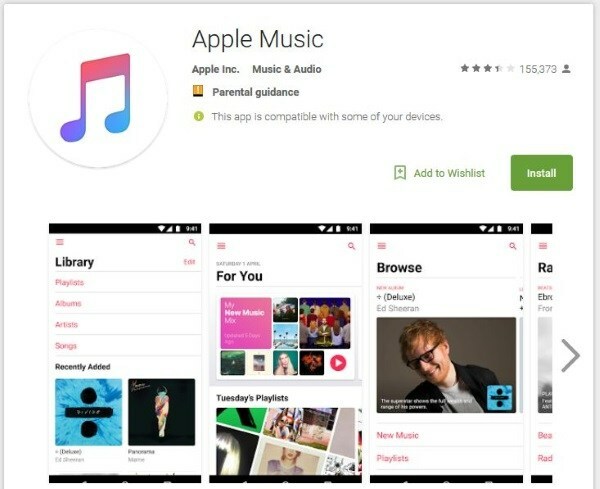 Apple music app is the design of apple for the android to bring the iTunes collection to android for all the purpose of getting the music album collections back to you. Its not the genuine app to give a feel of apple phone but it all what we can have now. STEP 1: You will need to download and install the apple music app from play store to make this work. STEP 2: Log into the app using your Apple ID. If you have multiple IDs, make sure it’s the one linked to your iTunes collection. STEP 3: Navigate through the app to access your Apple Music collection. Can’t guarantee you the proper setting up this as I personally didn’t got that fix, you also can give a try. So how you feel getting back to your collection from IOS to Android. Let us know if that helpful. Hope, the above article is helpful for you. To read more informative articles like this, Visit our website regularly and don’t forget to subscribe to our news letter. I wonder what’s the best music player out there? I.e. Google Photos in my opinion is the best picture & video program out there in my opinion. Now this article is explaining to me how to get Apple iTunes on my Laptop. I wonder if I should bother?